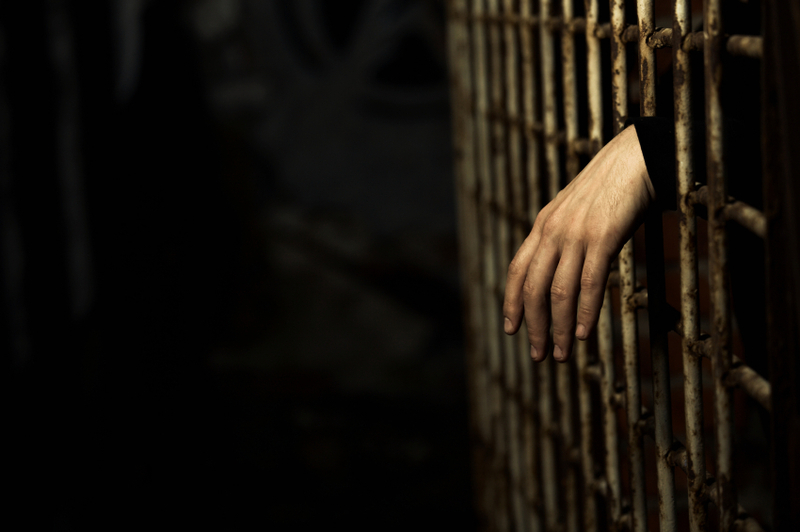 Are mandatory minimums in prison sentences a thing of the past? Investigate the history of mandatory minimums and learn about the developing trend against them. In the 1970s, New York City was at war. Homicide rates were skyrocketing (four times what they are today). Heroin abuse was reaching epidemic levels, with junkies loitering on street corners. The city’s governor, Nelson Rockefeller, initially believed his city’s drug problem to be a societal – not criminal – issue, which needed improved rehabilitation measures, job training, and safe housing to rectify the explosion of drugs and violence on city streets. The national consensus in the U.S. was changing, as films focusing on drug abuse and violence were stoking anti-drug fervor in communities across America. Federal policies eventually shifted to follow the increasingly intolerant attitudes, leading to draconian laws targeting drug dealers and users alike. Late in 1972, Rockefeller made a 180-degree turn: anyone pushing drugs in New York City’s streets would have the book thrown at them: life sentences, no parole, and no probation. Rockefeller’s progressive attempts to fix the problem were set aside in favor of a hard-line approach. In January of 1973, Governor Rockefeller called for mandatory prison sentences of 15 years to life for both drug dealers and addicts – even for users caught with only trace amounts of cocaine, heroin, or marijuana. The new legal movement steamrolled through the New York legislature and sparked a nationwide trend toward getting tough on crime: soon, mandatory minimums and three-strikes laws showed up in other states, as well as in the federal justice system. This trend toward hard-line discipline of even petty criminals had unexpected and troubling effects. White users accounted for a large proportion of drug use during the 1970s, but disproportionate numbers of individuals from poor black and Hispanic neighborhoods were arrested and given extended prison terms. According to a recent report on National Public Radio, the U.S. prison population, which was 330,000 in 1973, has shot into the stratosphere. This is due, in large part, to the enactment of similarly harsh laws all over the U.S. The prison population is now at an all-time high of 2.3 million inmates, and the cost of these laws drains away funding that could be used for other programs. Many pundits, politicians, and law-makers believe that these tough sentences are hurting the poorest minority citizens and consuming too much taxpayer money in the process. U.S. prison system costs as of 2013 are running between $63 and $75 billion per year. Were Mandatory Minimums a Mistake? Joseph Persico, one of Rockefeller’s closest aides, helped get the mandatory minimum and three-strikes laws passed. Yet he saw the potential for failure early on. He understood that punishing first-time offenders could fill prisons to bursting with low-level drug offenders. Today, Persico feels the policy was unjust, unwise, and ultimately ineffective. Even so, despite the vocal majority, there are still those who believe in mandatory minimums. They point to reduced crime rates in the U.S. and somewhat lower levels of drug use. Their belief is that minimum sentencing guidelines have been great deterrents to violence and criminal activity. Stories abound of nonviolent criminals put away for lengthy terms because of petty crimes. For many of these people, the damage has already been done, but there is hope for a lucky few who are able to take advantage of reduced sentencing guidelines. Stephanie Nodd is one example, having served 21 years for her first – and only – conviction, involving conspiracy to sell crack cocaine. She was initially sentenced to 30 years in prison, but due to recently reduced sentencing guidelines allowing Nodd to seek a reduction in her overall sentence, she walked out of prison nine years early. Stories like Nodd’s have pushed the debate about mandatory minimum and three-strikes laws into the forefront of public policy. When someone like Nodd can be called one of the lucky ones – even after serving 21 years in prison – the system is broken and needs fixing. In 2009, New York’s sentencing rules got a partial reform, followed by nine state prisons closing their doors. In other states suffering from severe cash shortages, especially those like California, politicians and lawmakers are looking to cut the number of prisoners behind bars. In 2012, California voters voted for Proposition 36, which amended the state’s three-strikes law. Now, offenders who have not committed a serious and violent crime won’t automatically be sent to prison for life. Before the measure passed, California had a habit of locking up shoplifters and thieves for life upon their third offense, even if no violent crime was committed in the process. Slate writer Emily Bazelon says the original law was passed following the brutal kidnapping and murder of Polly Klaas in 1994. Her killer slipped through cracks in the system: he had been on parole and had a long and violent history. It seemed like a good idea at the time try to keep such vicious predators behind bars. The problem for many was the fact that the law went well beyond controlling killers, rapists, and molesters. Its brunt fell squarely on non-violent offenders. According to the Proposition 36 team, the state was wasting $100 million per year by locking up petty criminals. Proposition 36’s passage now means that nonviolent offenders currently serving life can return to court to request a lower sentence. Recently, U.S. Attorney General Eric Holder spoke against racial disparity in sentencing, budget strains due to the overpopulated prison system, and the failed policies which have pushed U.S. jails and prisons to the breaking point. In his speech, Holder stated that the Justice Department will no longer pursue mandatory minimums for low-level, nonviolent offenders without ties to gangs, cartels, or other large criminal organizations. These low-level offenders will receive modified indictments that allow them to avoid the harsh mandatory minimum sentences aimed at serious offenders. The Attorney General’s order will only apply to newly arrested criminals and not those who are already serving extended time behind bars, but it signals a major change in mandatory minimum policy. Is Holder’s Stance Enough of a Change? Supporters of Holder’s plan include the American Civil Liberties Union (ACLU) and the Leadership Conference on Civil and Human Rights. Others agree in principle but disagree with the implementation. One of those in partial agreement is Michael Mukasey, a former judge and U.S. Attorney General under George W. Bush. Mukasey believes in getting rid of mandatory minimums, but he thinks the correct way to go about it is by passing an actual binding law, instead of Holder’s approach. And previously mentioned author Bazelon feels that Holder didn’t go far enough with his announcement. She isn’t sure how big a shift in policy his actions actually represent. The U.S. comprises only five percent of the world’s population, yet it puts away almost a quarter of the world’s prisoners. Since 1980, the American prison population has exploded by almost 800 percent. Overcrowding in state, local, and federal facilities in 2010 cost Americans $80 billion. Despite reform movements, nearly half a million Americans are still serving lengthy sentences for non-violent drug offenses. However, the reduction of mandatory minimums may be the beginning of the end for the harsh anti-drug laws of the 1970s that led to the current three-strikes laws and minimum prison sentences. Changes at the legal and policy level point to more progress on this issue in the future and a more streamlined justice system that doesn’t impose unnecessarily harsh sentences on low-level offenders.